Beyer Carpet Cleaning is unbeatable in comparison to other carpet cleaners in San Antonio. From price to customer service, other companies lack the ability to come close to the type of service Beyer Carpet Cleaning can provide. Beyer Carpet Cleaning offers reasonable prices to all of their customers. Their pricing is listed on their website for the customers convenience so when customers are price shopping they know right off hand that Beyer has the lowest prices. Beyer Carpet Cleaning is usually half the price of their leading competitors for carpet cleaning san antonio. They are able to offer the lowest prices because they are a family owned business that doesn’t have a large overhead. This allows them to pass along their savings to their customers. You will get the most for your money every time you use Beyer for your carpet cleaning needs. For the low price of $149 you can get unlimited rooms, closets, and halls up to 2,000 square feet. This carpet cleaning includes a steam clean, vacuum, enzyme and emulsifier for stains and spots, and deodorizer. Their enzyme and emulsifier solvents will remove 95% of any spots or stains. The other 5% that isn’t guaranteed are things that can seriously damage carpets such as red stains, dye, ink, wax, oil, gum, and paint. There are additional services they can provide for an additional cost to try to remove these type of stains. Beyer Carpet Cleaning san antonio also offers unbeatable customer service. Their staff is there to help answer any questions and schedule an appointment that is most convenient for the customer. Their technicians are highly trained and qualified in carpet cleaning, tile and grout, and upholstery. Their vehicles are always stocked and ready to take on any kind of job. 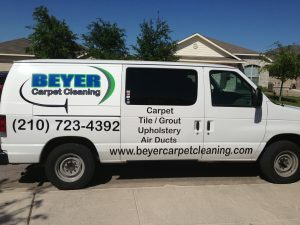 Beyer Carpet Cleaning is readily available Monday thru Saturday and willing to work with their customers busy schedule. So call Beyer for all your san antonio carpet cleaning needs. 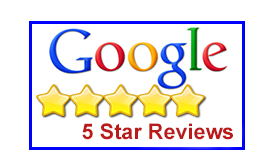 You can also check out their reviews for san antonio carpet cleaning! You will not be disappointed!